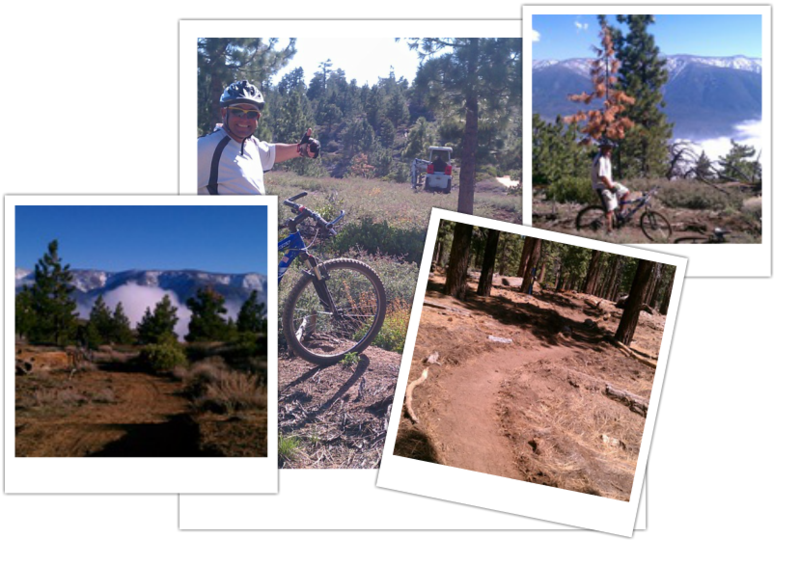 Big Bear Skyline Trail - Big Bear Mountain Biking Trail Guide Maps GPS - Hiking Trails too! This is the first phase of the new Skyline Trail being built in Big Bear Lake, Ca. We are on track to have another 5-10 miles built by Summer 2013. The trail is right behind Snow Summit right now but will go from Summit west and connect to many other trails. IMBA helped design the trail. Awesome views. Trail building tractor.